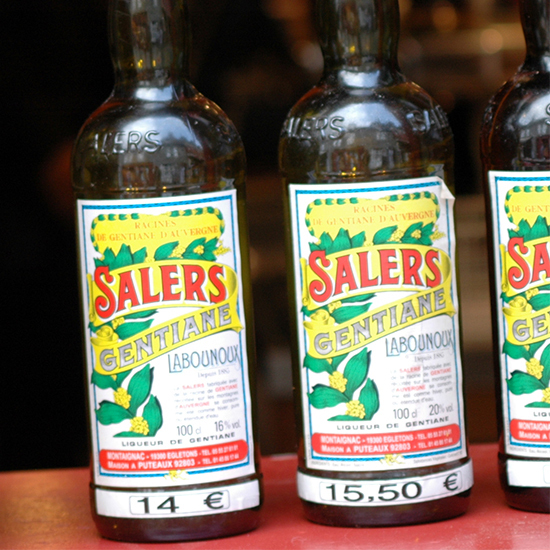 Saler's Gentiane is your new bittersweet best friend when it comes to Negronis. What It Is: A French aperitif made from the bitter roots of the Gentiane Lutea (a flowering alpine plant with yellow blossoms) and a magical assortment of herbs steeped in a neutral alcohol base and then matured in oak casks in Auvergne. Suze is the most commonly seen brand of Gentiane—it was immortalized by Picasso in Verre et Bouteille de Suze—but it uses yellow artificial coloring. Salers’s version is all natural. What It’s Like: Bittersweet, rooty, vegetal and herbal. How to Drink It: Pair with tonic on a hot day, drink it over ice or swap out the Campari in a Negroni to make an earthier version of a Negroni.